3. It looks like an individual sport but it is really a team effort. But how do we get there? We need a map and this is the subject of our message this Sunday. And one of the points I am going to emphasize is that we need to radically shift our thinking in the way we do church. To use a sports analogy, church used to have home court advantage when it interacted with the world, but now it must play in the opponent’s court, if it gets to play at all. In our attempt to reach the world, we have for too long expected the world to come to us, but that strategy is no longer working. If we are going to “seek and save that which is lost,” we must go where the people who need Christ are. But this will require a laser-focused-all-hands-on-deck-unremitting commitment to the lost. And it will force us to move out of our comfort zones for the sake of those who have yet to hear that Jesus loves them. Are you ready for that? 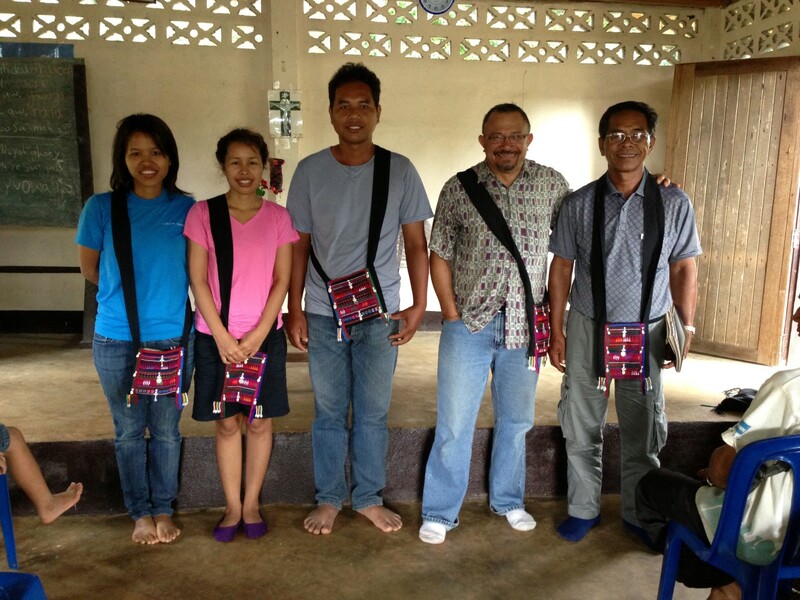 Having just returned from SE Asia, I am humbled by the stories of some of the humblest of God’s people I met on this trip. 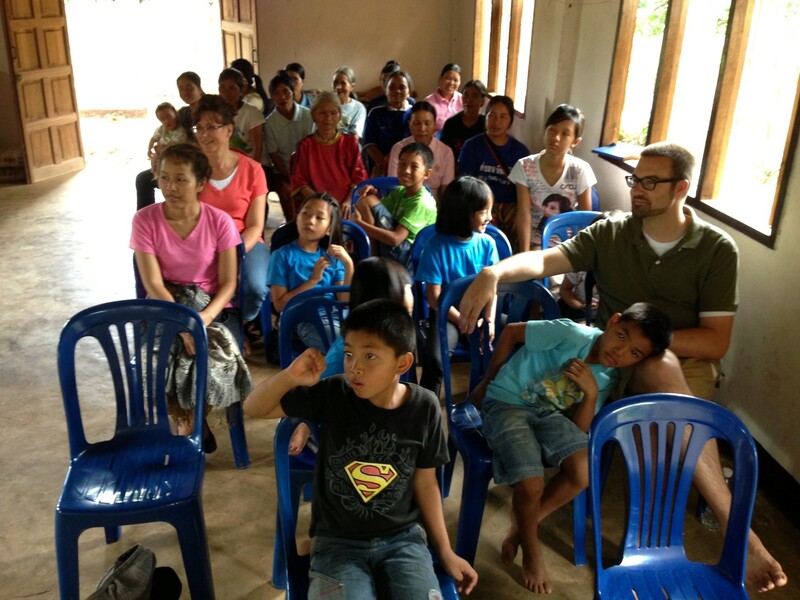 Worshiping with a handful of Akha people up in the mountains of northern Thailand, in a village tucked in the middle of nowhere, surrounded by poverty and disease, I was reminded again of the power of relentless pursuit of lost people. 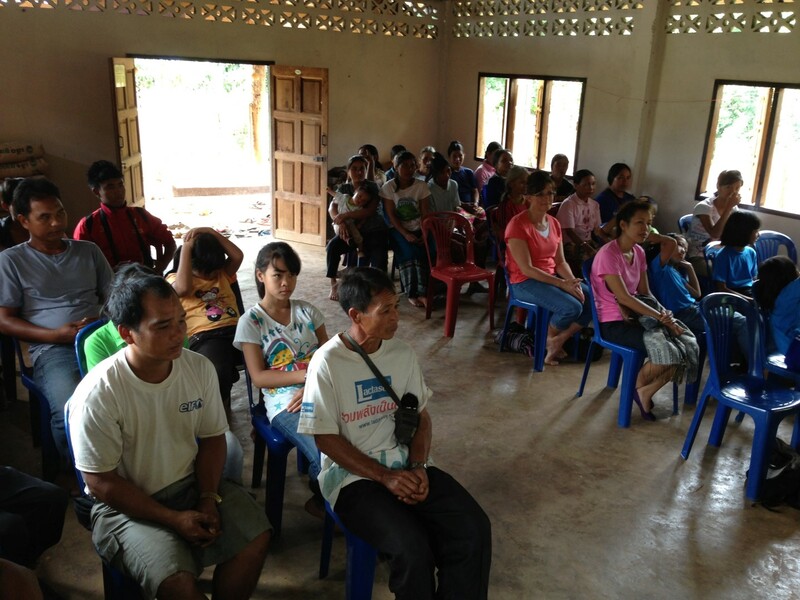 The people sat around in front of the church and shared the story of how they heard about Christ for the first time. Since these folks are among some of the most despised minority groups in Thailand, they have lived their lives as indentured slaves, working on farms owned by others, making a miserly salary which only keeps them further enslaved by their masters. But a faithful man of God kept pursuing them. When they lived in a far away region, when they were still all animists, when they had no desire whatsoever to even consider the Christian God. But the man kept coming back. He cared for them and spoke for them and against the injustices perpetrated against them. And he kept talking to them about a God who loved them in spite of their perceived status as the scum of the earth. Eventually, the people turned to God and moved to a different village, where they can have a little more dignity, and most of all, can come together and worship God freely in a little church building built for them by a group of retired Japanese people who don’t even believe in the God of Christians. I sat there and watched the face of the man whom God used to start that church, since he was sitting right there with us. He showed no sign of pride or even overt satisfaction hearing the story of the power of pursuit in the Name of God. Perhaps he was thinking about the next frontier. He alone has been responsible for starting dozens of churches among some of the most despised people of this world, an itinerant preacher, with little education, no funding from the outside, a simple farmer whose heart of devotion to God has been the only motivation he has needed to keep forging ahead. This man, like Diana Nyad, has found a way. How about you? I have been seeking God’s will to show me how to live a more purposeful life that will glorify Him. I am a registered nurse for 29 years and have also been a nursing instructor. Seemingly, God has given me this education and experience for a reason. I believe I have heard God’s call this week. Through a student, I learned about a ministry called “Hope Within”. This is a community health center located just off Rt. 283 that provides free medical care, along with showing God’s love, and optional individual spiritual counseling to those without medical insurance and who demonstrate financial need by completing disclosure paperwork. This service is for patients who live in Lancaster or Dauphin County. The facility is staffed by volunteer medical personnel, and others who feel a call to help in this way. Medications are provided as available, through the donations from some of the drug companies. I read all the information on their website and I am in agreement with their statement of belief and mission. I am in the process of completing the application, which requires writing out my personal testimony. I would covet your prayers as I listen to God speak in my life. I have health challenges that, at this present time, will limit the amount of time I can commit to assisting in this ministry. However, during the service on the last Sunday in August we sang the words, “heal me” over and over. It was then that I genuinely asked God to heal my mind, body, and soul. Although I have had near-death health issues, I have never prayed for my own healing before this time. I always prayed for God to use me in whatever condition would give Him the most glory. He has graciously allowed me to recover from having a tracheostomy, and I believe he will continue to use me. “Hope Within” website says they partner with area churches for support. I am not yet a member at Grace so I do not know if anyone is aware of this ministry. I encourage anyone who is interested to visit their website. thank you, kathy, count on my prayers as you continue to pursue this opportunity. we need more people like you who will find an opportunity to serve in their areas of giftedness and training. please keep us posted. i am very excited for you!